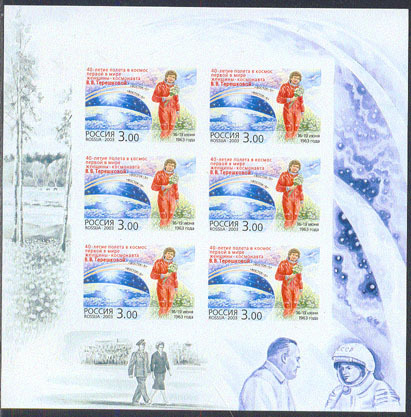 8203 EP RUSSIA (2003) Valentina Tereshkova*. 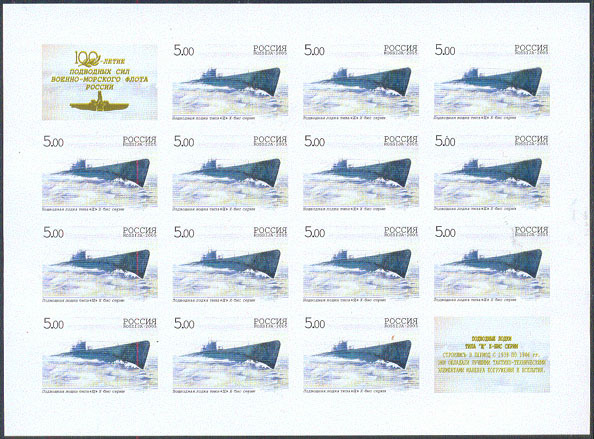 Imperforate proof minisheet of 6 stamps. First female cosmonaut. 19176 EP RUSSIA (2004) WWF emblem*. Wolverine*. Proof of minisheet of 8 (4x2 different). Scott No 6857. 6859 EP RUSSIA (2005) Sable*. Siberian tiger*. 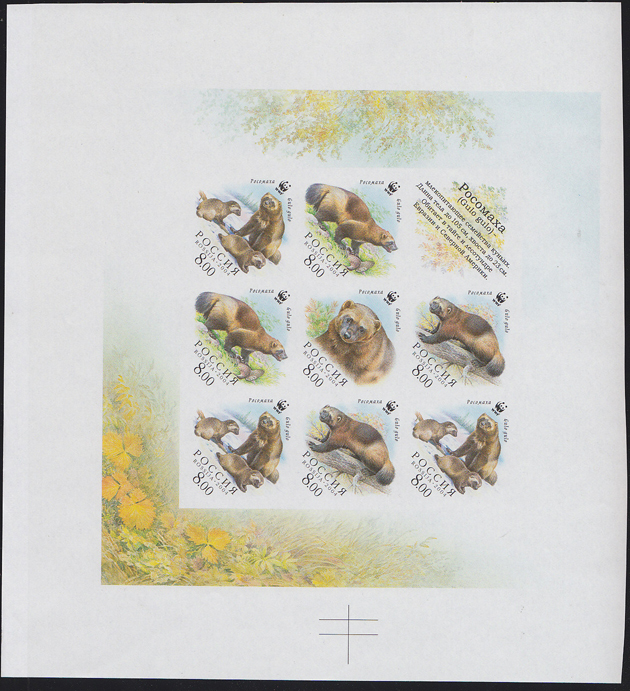 Imperforate proof sheet consisting of 4 strips of stamps with central label and surrounding illustration. Scott No 6911. 7100 EP RUSSIA (2005) Lomondsov University 250th anniversary*. Imperforate proof sheet of 9. 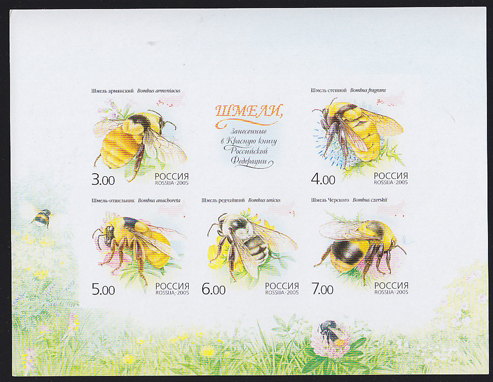 18606 EP RUSSIA (2005) Bees*. Imperforate minisheet of 5 + label. Scott No 6912f. 18607 EP RUSSIA (2005) Bees*. Imperforate strip of 5. Scott No 6912f. 18993 EP RUSSIA (2005) Type Sch submarine, X-bis*. 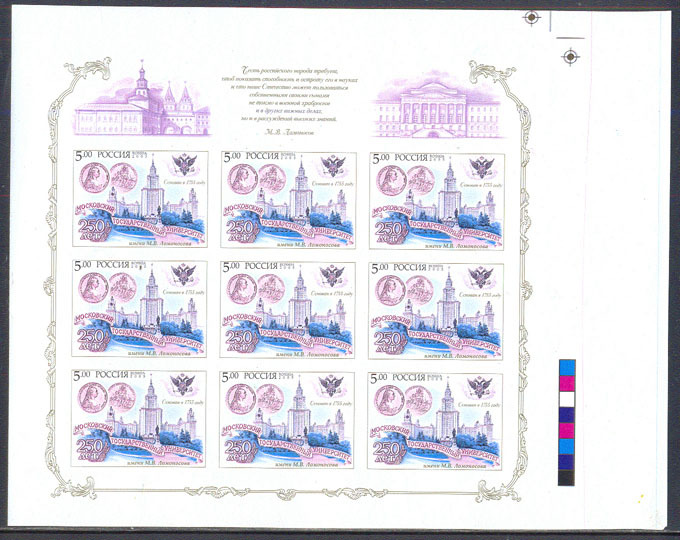 Imperforate proof sheet of 16 with 2 labels in Russian. Centenary of Russian Submarine Force. Scott No 6889. 6127 EP RUSSIA (2006) Base station*. 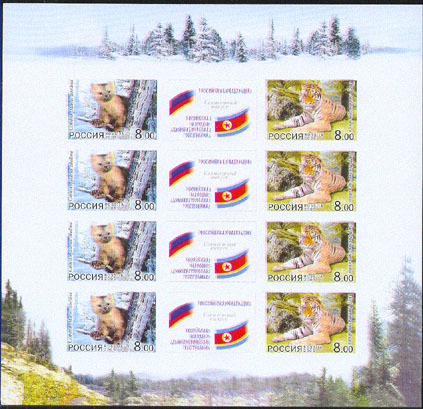 Imperforate proof sheet of 25 stamps with color bars and printed title. Antarctic Exploration. 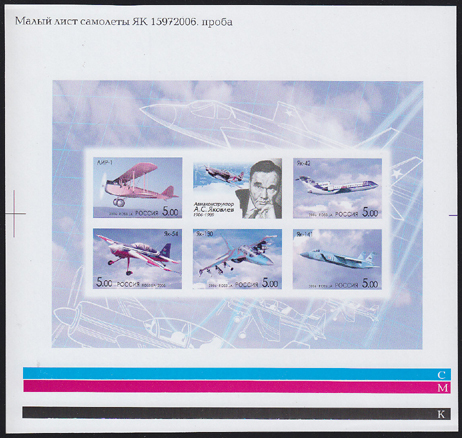 18274 EP RUSSIA (2006) Airplanes designed by Alexandr Yakovlev*. 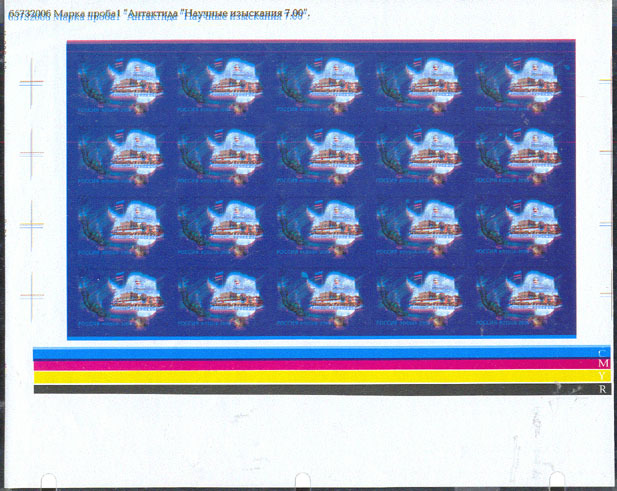 Imperforate proof of minisheet with label showing Yakovlev's portrait. Scott No 6960a. 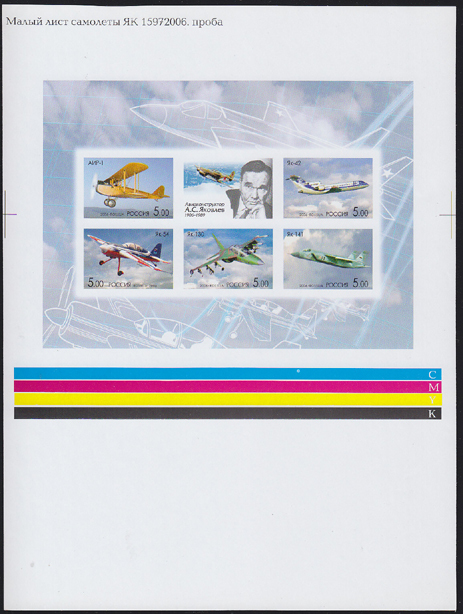 18275 EP RUSSIA (2006) Airplanes designed by Alexandr Yakovlev*. Imperforate proof of minisheet with label showing Yakovlev's portrait. Scott No 6960a. This one is missing the color yellow.